We're perfectly located right in the heart of Blackpool, making us the ideal base for your Blackpool holiday. The town centre shops, Blackpool Tower, and Winter Gardens are on our doorstep. The Promenade, the beach, and North & Central Piers are just a short walk away. 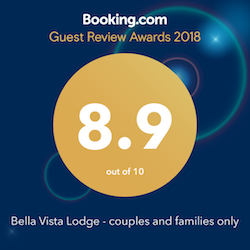 Bella Vista is a room-only lodge, with all 9 of our rooms having en-suite facilities. We don't have any on-site car parking, but Central Car Park is only 100 yards away.